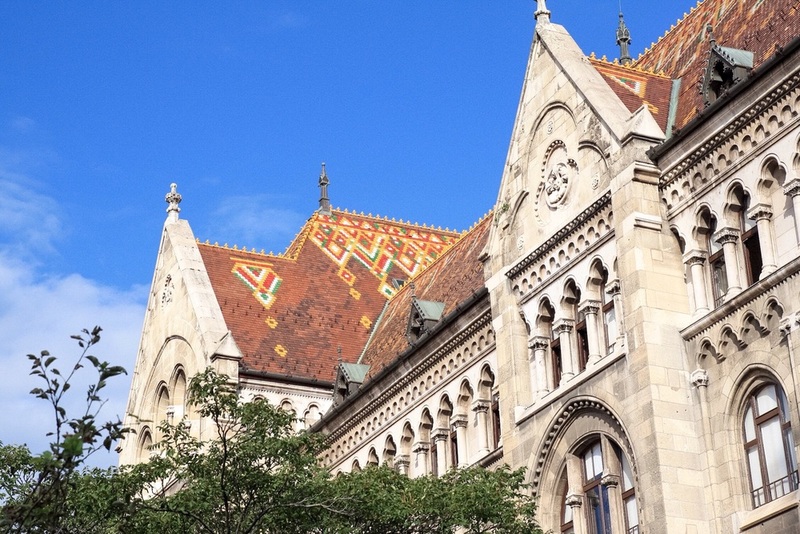 Budapest is divided by the famous Danube river into two city halves, namely Buda (the older side) and Pest (the more modern side, where we stay). Before merging together as one, the two had different influences and therefor look very different. The streets in this photo depict the time when this area was part of the Austro-Hungarian Empire so it feels like walking through an Austrian village. On the Buda side, overlooking Pest, is the Fisherman's Bastion. Though it may seem like a sand castle on the beach, it got its name from the tents the traditional Magyar fishermen used, similar to the shape of the tower peaks. The view from the wall makes the walk up the hill worth all the effort and I think this Disney-style building is a refreshing twist to the many styles already around the city. Next to that is something out of a JRR Tolkien novel. 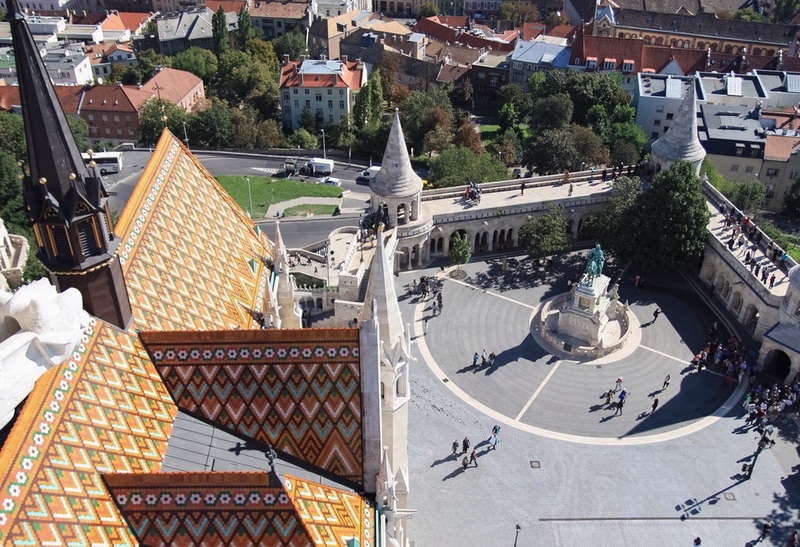 The Matthias Church looks like something in a fairytale and the roof features patterns from the Magyar people's textile designs. This is seen all around the city in different patterns and as a designer I love spotting them in unexpected places. Here is another example of the colourful tiling on the roofs around town.